BVK designs & manufactures multi-vendor smart, connected ATM security devices including Anti-Skimming (M1,M2, D1,D2), Anti-Deep-Insert (M3/D3), Anti-Shimming, Anti-Fascia Tampering, Anti-Card Trapping, Anti-Eavesdropping and Surface Detection Solutions. BVK also provides & secures Keyless Access to ATM Sites & equipment and is introducing the first multi-vendor Remote BIOS Password & Boot Order Management Solution. Cennox is a global brand in security services with major operations in Europe, the UK & US. Operating at the cutting edge of ATM protection & innovation, our customers enjoy our full portfolio of the latest technologies, designed to protect branches, card terminals & ATMs. Diebold Nixdorf. Diebold Nixdorf stands for competitve processes and efficient workflow at bank branches and retail outlets. For both, Diebold Nixdorf’s aim is to reshape processes, especially at the interface with the customer, through the use of information technology. To support the process of change, we offer a comprehensive range of IT-based solutions to our customers in both sectors. Eksper Ltd provides software and hardware solutions for ATM security. Operating in many countries, serves a wide range of clients all over the world. Our essential product ECS (Enhanced Card Security) which is proper, effective and long term solution deactivates and prevents attacks of skimming devices. ECS is a patented, EMC,CE,FCC approved and ISO9001:2008 certified technology for ATM card security. Lockpoint products have evolved to stay one step ahead of the criminal in an ever-changing security world. The Gryphon provides a sophisticated defence against a range of threats to the ATM estate, from duress and burglary to gas attacks (the Gryphon is yet to be breached). The Padfoot reinforces defences against ram raids. 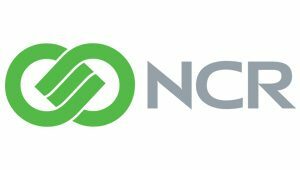 NCR Corporation (NYSE: NCR) NCR is a leader in ATMs, self-checkouts and other self- and assisted-service solutions, in over 100 countries. NCR has been the global number 1 ATM manufacturer for 23 years and is global leader in multi-vendor ATM software. NCR’s software, hardware, consulting and support services help organizations in financial and other industries interact with consumers across multiple channels. Parabit Systems is a leading financial industry partner specializing in branch retail and ATM vestibule self-service and security solutions. Combining twenty-one years of ingenuity with collaborative design, engineering and manufacturing services, our innovations transform the Retail/ATM customer experience and reduce risk. Parabit products are used in thousands of financial institutions globally. Spinnaker recognises its responsibility to the market for the development and supply of Intelligent Banknote Neutralisation Systems, for the transport and storage of cash in support of the financial, retail, CIT and transport service sectors. Establishing its market leading position through 30 years of reliable innovation and best in class after-sales service. The CPK+ 6001 series: Multivendor, Long term solution, Proven track record since 2004, 100% real time communication via USB port, Settings remotely adjustable, Internal clock, Loop Technology, CPK+ and SDK software updates via USB from host (remotely), Complete integration in ATM / SST network possible. DISCLAIMER; EAST does not endorse, recommend or warrant any of the companies shown in the sponsored links above, or their equipment or systems. EAST makes no claims, promises, or guarantees about the completeness of these links. In addition, as the information in these links has been passed to EAST by other parties, errors or mistakes may exist or be discovered. Neither EAST nor its members, authors, or agents shall be liable for any loss, damage, or claim with respect to any such information being provided. All such liabilities, including direct, special, indirect, or consequential damages, are expressly disclaimed and excluded.